We are super excited about this one! 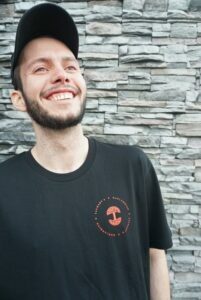 We’ve teamed up with our friends over at Oaklandish for a special edition t-shirt! And (because why stop there), 10% of sales will be donated to the Fred Finch Youth Center. Fred Finch is an amazing organization doing really inspirational work in Oakland and throughout California! Based in Oakland, California, Fred Finch Youth Center works with young people facing multiple challenges, including homelessness, economic disadvantage, mental health and cognitive disabilities, and histories of significant trauma and loss. Committed to the notion that no on is without hope, no matter how desperate their circumstances may appear, Fred Finch offers programs in education, independent living services, housing and mental heath to provide a pathway to healing and self-sufficiency. Their 128 year history and strong track record have made Fred Finch Youth Center a recognized leader in the treatment of children and families. 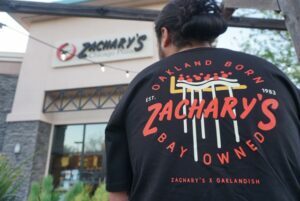 These limited edition collaboration shirts are available at any Zachary’s location, as well as the flagship Oaklandish store on Broadway in downtown Oakland, and online at Oaklandish.com.